William Edwards rose from humble beginnings to become a bridge builder of note and a non-conformist minister. He grew up on a farm in Wales, without formal education. Imbued with the confidence to make his mark, he taught himself stonemasonry, learned to read and write English in his 20s and mastered bridge construction. He has been called "a builder for both worlds" for his engineering excellence and pastoral stewardship. Described as "an obstinate, stubborn, and self-willed boy", Edwards augmented his farm work by repairing dry stone walls — a skill gleaned from watching local masons and exploring the ruins of Caerphilly Castle. His first engineering projects were buildings, and in 1740, aged 21, he constructed an iron forge west of Cardiff Castle, powered by a leat (millstream) from the River Taff. During the years 1746-56, Edwards built his best-known structure, a bridge over the River Taff at Pontypridd, now known as William Edwards Bridge (or Old Pontypridd Bridge). He explored the practicalities of bridge building by trying different configurations — three bridges failed and the arch that remains in use today was his fourth attempt. For many years (see side box), it had the longest single span of any bridge in Britain. The eventual success of his record-breaking bridge led to contracts for at least 10 other smaller bridges in Wales. For three of them, such as Dolauhirion Bridge near Llandovery, he reduced dead load on the haunches and abutments by making cylindrical holes through the spandrels, as he had at Pontypridd. His understanding of bridge design, forged by hands-on experience, soon meant local authorities turned to him for advice. He passed on his expertise to three of his four sons — David, Edward and Thomas — who also built bridges, David being the most prolific. By the mid 18th century, Swansea was famous for smelting copper, using the plentiful south Wales coal for the process. Edwards worked on the construction of Forest Copper & Lead Works on the west bank of the River Tawe. 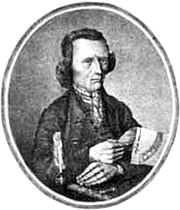 He began associating with local industrialist John Morris (1745-1819) and prepared the town plan for the industrial village Morris instigated to house copper workers — Morriston, now part of Swansea. A concurrent strand to Edwards' life was his involvement in religious activities. By the 1740s, the established church's influence in Wales was being challenged as the ideas of Baptist, Methodist and independent preachers gained popularity. Possibly as early as 1745, but certainly by 1752, he became a non-conformist minister and was pastor at Groeswen (White Cross) chapel, a vocation he fulfilled until his death. Possibly the earliest wide-span single-arch masonry bridge was Puente del Diablo (1289, Martorell, Spain), built on Roman foundations. It spanned 37.3m and stood until 1939. The present bridge is a 1965 reconstruction. 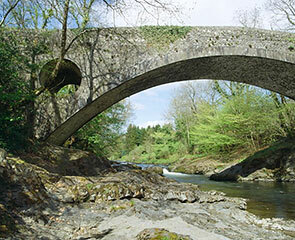 A succession of medieval bridges had spans in the 40-50m range. Two held the title of the world's widest: Pont du Diable (1321-41) in Céret, France, at 45.5m and Ponte di Castel Vecchio (c.1354-6) in Verona, Italy, at 48.7m. But Ponte di Trezzo sull'Adda (c.1370-7) in Lombardy, Italy, with a span of 76.5m was the widest ever built. It was destroyed in a 1416 siege. William Edwards Bridge (1755-6) spans 42.7m. For six years (1822-8) it was the world's largest extant masonry span, and held the record as Britain's widest for 72 years until 1828. It also had the largest UK span constructed in any material from 1782 to 1796. Thomas Telford's Over Bridge (1826-8), near Gloucester, was next at 45.7m. It too still stands. 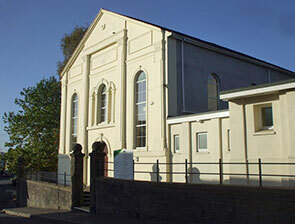 Groeswen Chapel was the first Calvinistic Methodist meeting place in Wales. Now Grade II listed, it was built in 1742 apparently under William Edwards' supervision, and he was a minister here for most of his working life. In 1766, the chapel was extended, with further enlargements in 1830, 1866 and 1874. In 1906, a bronze plaque was erected inside. It reads, "A builder for both worlds ... Adeiladydd I'r Ddeufydd". 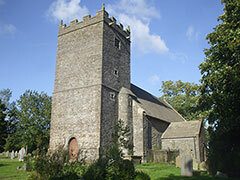 Church of St Ilan, Eglwysilan, where William Edwards and his wife Elizabeth are buried. Their tomb, outside the southwest corner of the church, is Grade II* listed. William Edwards Bridge (Old Pontypridd Bridge), completed in 1756. This bridge is the best-known work by Edwards and it represents a milestone in the history of masonry arch construction. Its stone arch was the longest built in Britain at the time, and remained so for over 70 years. Its distinctive design is still studied today. The later Victoria Bridge (Thomas Jenkins, 1857) can be seen behind it. 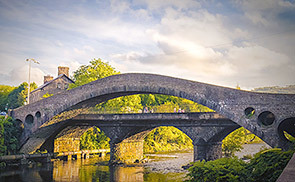 Dolauhirion Bridge over the River Towy, north of Llandovery in south Wales. Designed by William Edwards and constructed by his son Thomas. 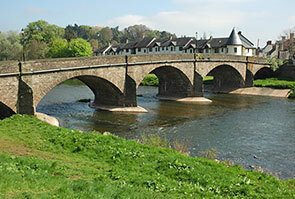 The Grade II listed five-span Usk Bridge at Usk on the River Usk, as we see it today. A William Edwards-designed bridge was completed in 1752 and is likely the core of it — the faces of the original masonry were concealed when the bridge was later widened by about a metre. The Libanus Chapel, Morriston, pictured in 2009. 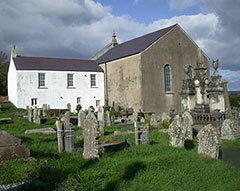 The chapel was built by William Edwards in 1782, though little remains of his work. The building was variously enlarged and extended in 1796, 1831 and 1857.